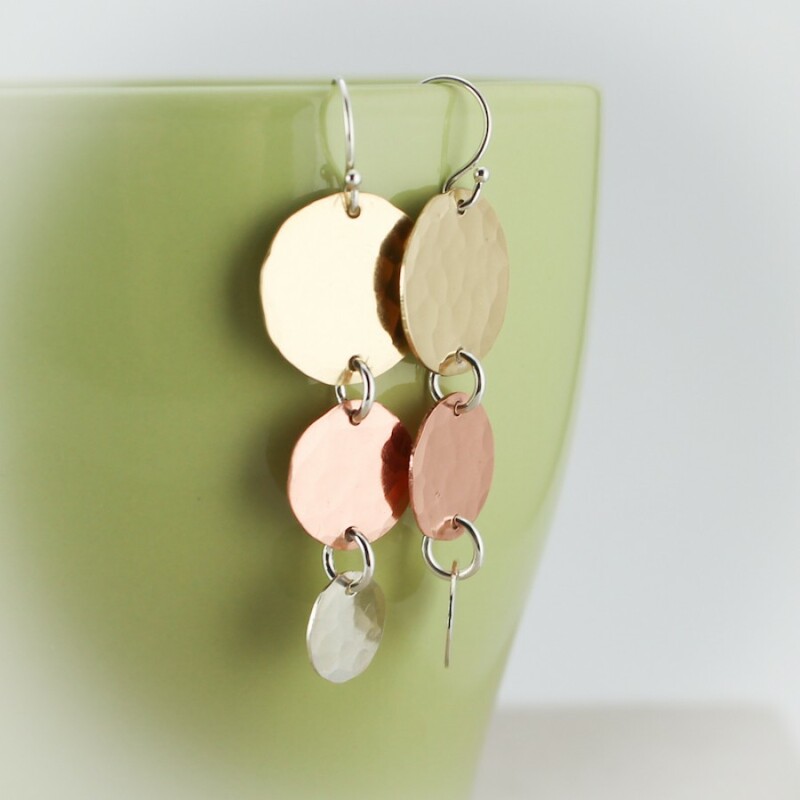 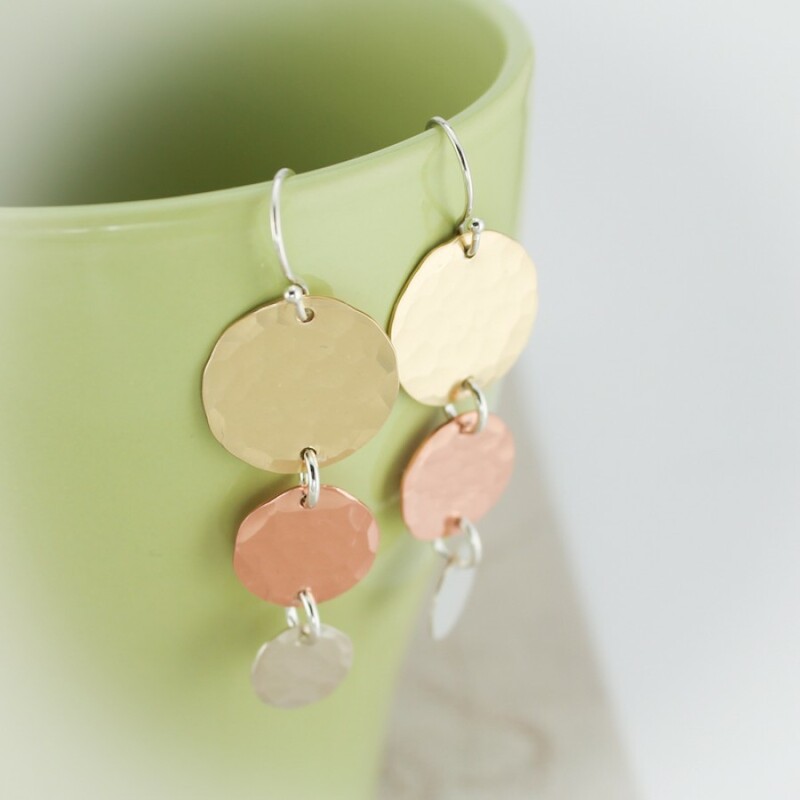 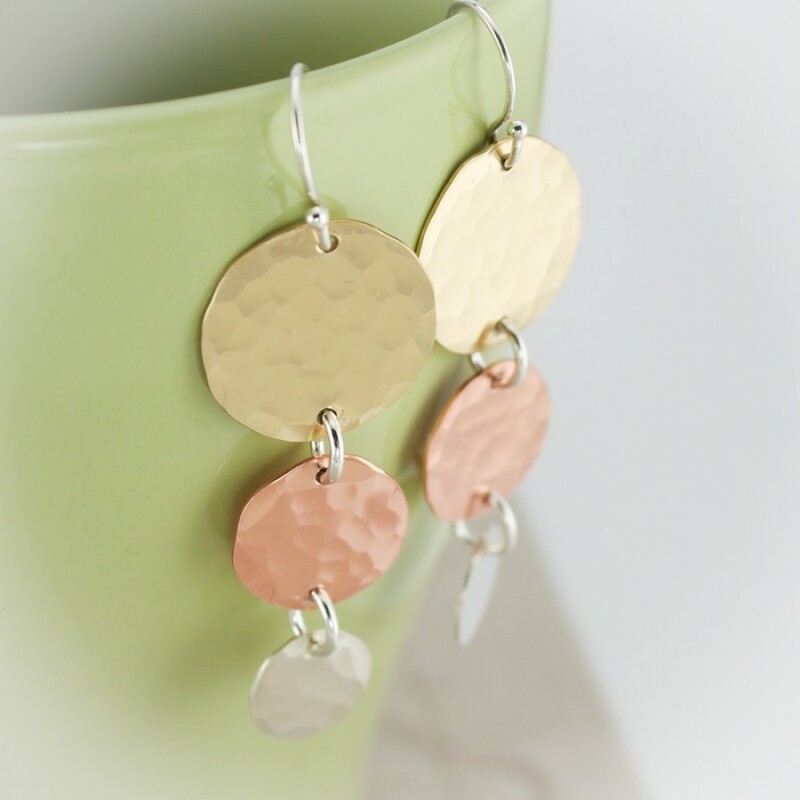 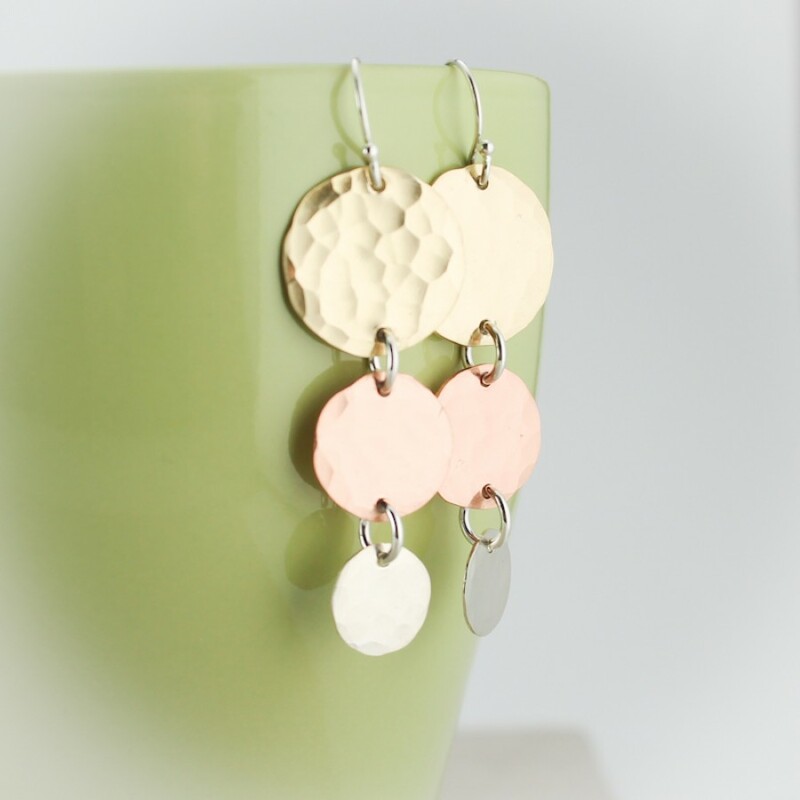 A fun pair of earrings to match any mixed metals necklace. The sizes of the discs are 5/8", 1/2" and 3/8" in brass, copper and silver. 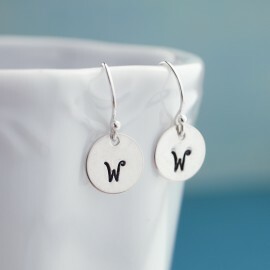 The earrings are connected with sterling silver jump rings and hung on sterling silver earwires.